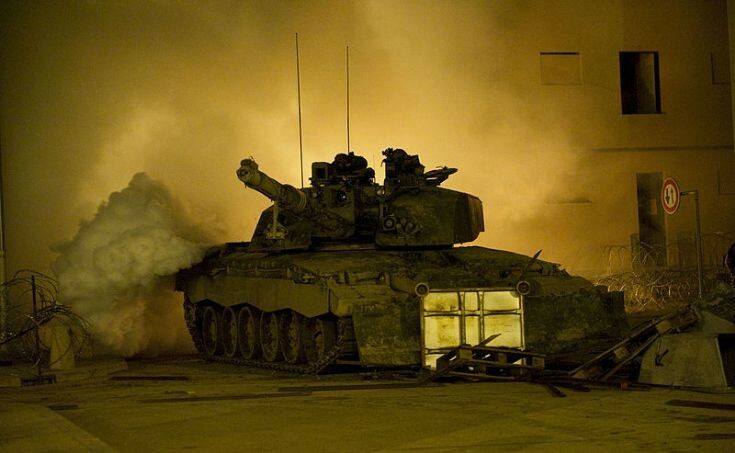 A Challenger 2 main battle tank with the 2nd Battalion The Royal Regiment of Wales releases white smoke during Exercise Urban Warrior at Cenzub, France. Exercise Urban Warrior 5 was organised to test armoured warfare in an urban environment. Is this acting as 'The Enemy' in this exercise? The side plates look very Eastern European in their outline. Added by Chris Teesside on 24 August 2013.